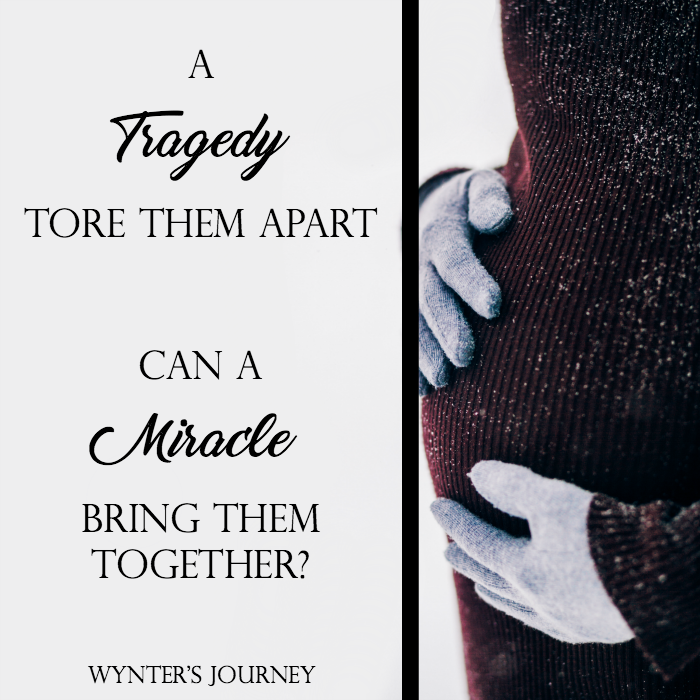 Tragedy tore Wynter and Sam apart before he could tell her how he felt about her. Twelve years later, fate dropped her off on his doorstep, widowed, desperately broke, and very pregnant. Sam has spent his entire adult life trying to forget Wynter, and here she was, ready to collect on a promise he’d made when he was young and in love. His sense of honor dictated that he take her in when she needed him most. It was only temporary, after all. But living under the same roof quickly led to old feelings resurfacing. Now the one person he’d wanted to leave behind is the one person he can’t let go. She knew seeing her reminded Sam of everything he’d lost, but Wynter had no choice. If she were going to make it back to Scallop Shores to raise her baby, she needed his help. Only she hadn’t counted on the long winter nights, getting reacquainted with a childhood friend she’d loved like a brother, a friend who’d grown into a man she found herself wanting to get to know on a whole different level. Delivering Wynter’s baby at home during a fierce snow storm forces Sam to fill in as temporary dad. It’s a role he’d gladly make permanent. Too bad the one place Wynter is determined to raise her daughter is the one place Sam swore he’d never step foot in again. Had he gotten a second chance to tell her he loved her only to lose her again? Or is this time for keeps? A lovely book that starts with the friendship between Wynter and Sam, a friendship put on hold because of a tragedy that affected not only Sam, but his relationship with the only girl he’s ever loved. After twelve years apart, Wynter needs his help, after losing her husband and waiting to deliver her baby girl. It is a story about second chances in love and life, about working towards achieving one’s dreams and finding strength within. The title has Wynter’s name, suggesting the story is more about her life, not Sam’s. A widow at a very young age, she comes looking for support in her best friend. I liked her strength and determination to make it on her own, to raise her child on her own. However, comparing her life with Sam’s, I think he was much more entitled to have his name on the cover. She was selfish at times, especially not thinking too much about his reasons for staying away. I was not very confortable towards the end, where she is much more willing to accomplish her dreams, not theirs. The narration was good, Gabrielle de Cuir did a nice job telling Wynter’s story. There were moments where her voice was a little raised, when in reality I don’t think it was necessary. But other than that, I really liked her! All that said, this book was an amazing read and it really lifted my spirits a little. It is never too late to have the life you want, you just have to keep it clear in your mind where you’d like to go and who you want to become. 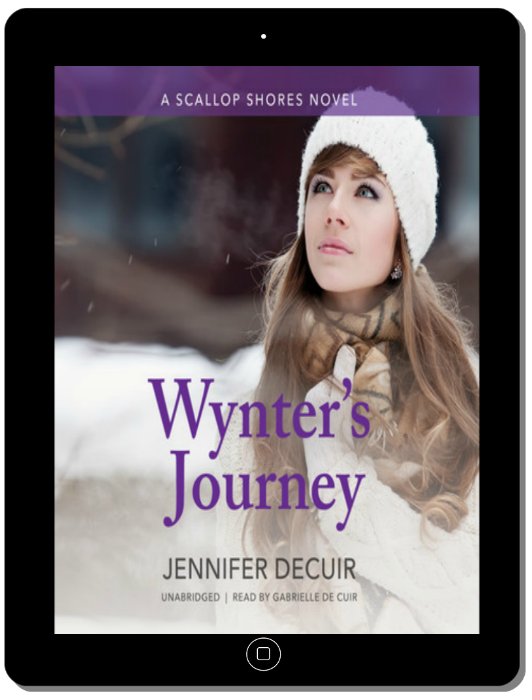 Jennifer DeCuir is the author of the Scallop Shores series, set on the coast of Maine, where she grew up. Now living on the opposite side of the country, she’s busy raising two kids and a husband. Her life resembles a sitcom, but that means endless story ideas. Coffee and chocolate keep her productive. Wine keeps her sane. 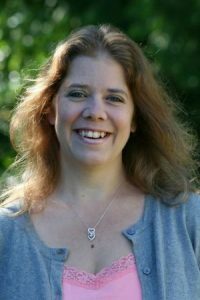 Gabrielle has narrated over 150 titles specializing in fantasy, humor, and audiobooks requiring extensive foreign language and accent skills. 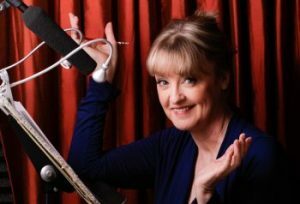 Her “velvet touch” as an actors’ director has earned her a special place in the audiobook world as the foremost choice for authors and celebrities. She grew up in London and Rome with her wildly cinematic Oscar-winning father. 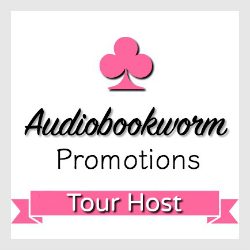 She is the creator of two successful Kickstarter campaigns for audiobooks this past year. For the past 3 years running, she has had finalists in the Audie EXCELLENCE IN PRODUCTION category. She is co-founder of Audie, Grammy and Hugo winning Skyboat Media located in L.A.